Project Proposal should consist of the feasibility studies which include technical concepts, budgetary and the most important thing is the economic calculation. One of my job functions is to evaluate the options and come up with recommendation which one is the best, BUY or RENT. This Compressor station will be developed due to pressure declined from reservoir that makes some compressors should be installed to maintain gas sales continuity. 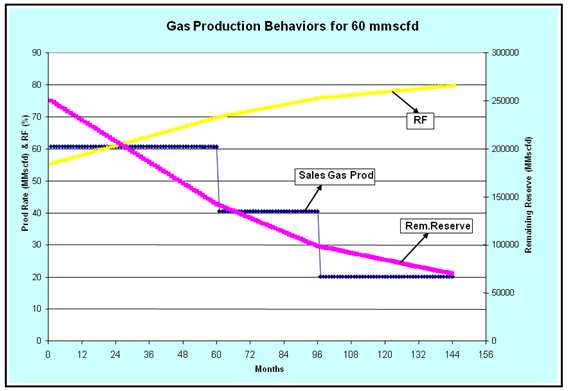 The subsurface pressure declined is natural since the reserve is limited. 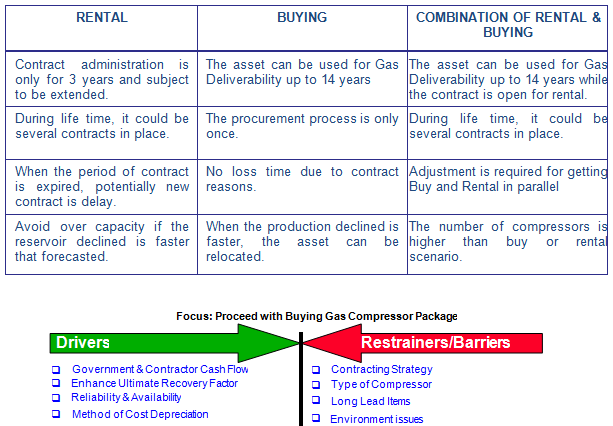 In order to increase Enhance Ultimate Recovery (EUR) factor the compressor should be installed. The type of compressor whether centrifugal or reciprocating is not described here which a little bit impact on the Total Life Cycle Cost. Pay Out time shall be less than 3 years. The constant figures for production life and total gross revenue for each alternative. BUY with scenario 4 x 20 mmscfd, is this worth Doing? Estimated revenue generated as calculated is US$ 432,525,000. The best Government Take is US$90,994,000 for 12 years operation. 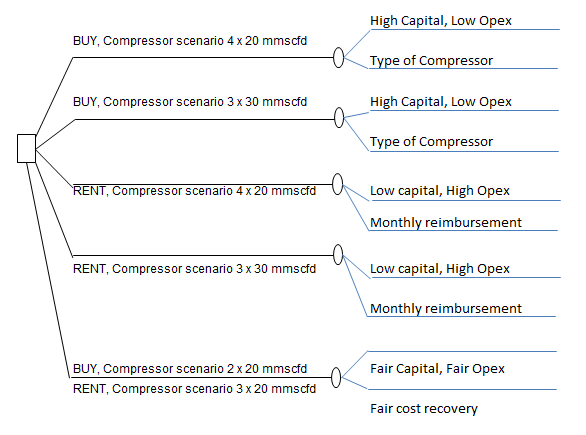 The Pay Out Time is not the fastest due to method cost recovery calculation is applied for capital investment. This entry was posted in Candra Nugraha, Week #4. Bookmark the permalink. Simply AWESOME, Mas Candra!!! EXACTLY what I am looking for each week. A perfect example…..
You picked a SINGLE problem, you defined it well, explored the root causes, identified feasible alternatives using the tools/techniques you are learning about and came up with a solution based on FACTS, not on “emotions” or “gut feel”. Keep up the good work and looking for you to mentor others on your team.